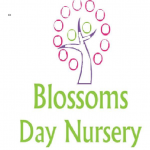 Blossoms Day Nursery is part of the Alpha Nurseries group offering paying and fully funded childcare places. From 3 months to 5 years old. Open 7.30am-6pm Monday to Friday. We are a nursery that put our families and children at the centre of everything that we do. We provide a range of stimulating and interesting activities that extend and build on the children's learning and development. We have a Spacious outdoor garden and are very lucky to take so much of our learning outdoors. We also offer an out of school club picking up and dropping off to/ from 3 local schools. Those being Etruscan, St Luke's and Harpfields. During the school Holidays/Bank Holidays we offer a holiday club 5 days a week at our usual opening hours where trips and various activities will be planned for the school club attendees. To find out more about the nursery please ring or email.